I think Sara was supposed to viewed as repentant at the of the book, but I didn't really buy it. Her remorse felt very surface and unrealistic. Yes, I believe that she was more apologetic about what happened and the role she played in Emma's death than anyone else, but I have a hard time believing she was truly sorry. There was no moment in the book where she really comes to an understanding about the role she played. It was more of a spontaneous "Oops! I did a bad thing!" than a legitimate realization that she had a hand in causing someone to take their own life. 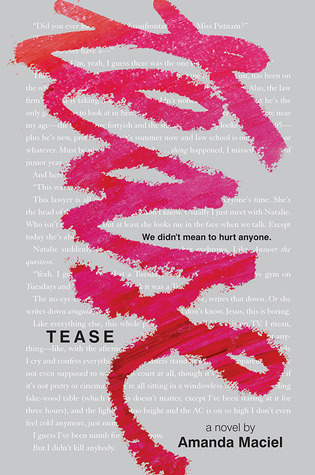 Overall, I think Tease was a good book (even if the ending didn't work for me). I think it provides a realistic and gritty look at how out of hand bullying can become. While it's not a nice and easy read, it was worth it.